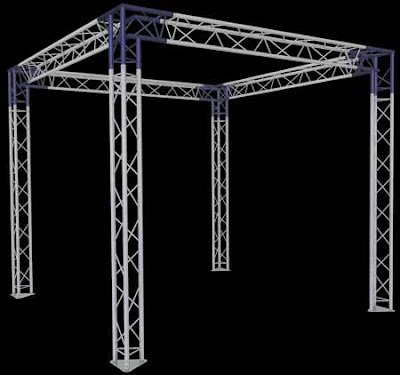 Using truss has become popular for Motion Capture Systems whether it's a permanent install or mobile units. Milos QuickTruss is easy to use and quick to set up and take down but sturdy enough to support multiple cameras. With the 10% discount that DisplaysExhibits.com is offering, a 20' W x 20' L x 10' H ,which is recommended for the 12 or 18 camera set-up, you can purchase the entire structure including all connections and baseplates for under $4200 excluding freight. This is using the M222 Quatro or Box truss. Call us at 888-804-0042 or email us at Info@DisplaysExhibits.com to find out more information!